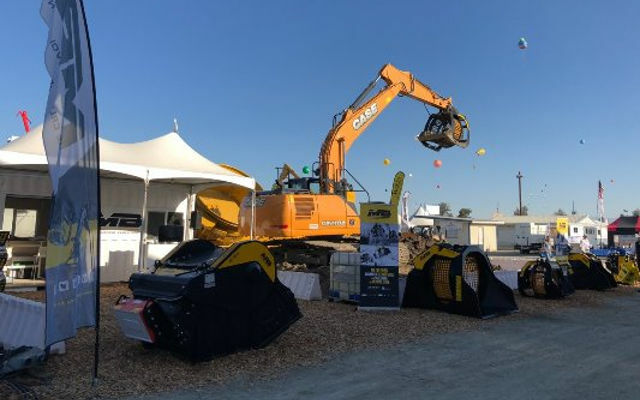 MB Crusher America is making its way back to World Ag Expo for 2019. In our first year we demonstrated the amazing capabilities of our Screening and Crushing buckets and we are returning in similar fashion. MB-S14 S4 will be making quick work separating out pit run, as the MB-L120 will be hard at work crushing rock and concrete. MB ‘s live demonstrations show how quick an efficient our attachments truly are. Our single machine attachments show how you can turn any skid steer or excavator into a true Crusher or Screener. MB will also have its drum cutter and grapple attachments on display, alongside different screening and crushing attachments.